Talkdesk Enterprise Cloud Contact Center empowers companies to make customer experience their competitive advantage. With enterprise-class performance and consumer-like ease of use, Talkdesk easily adapts to the evolving needs of sales and support teams and their end-customers, resulting in increased customer satisfaction, productivity and cost savings. Over 1,400 innovative enterprises around the world, including Discovery Education and Peloton, rely on Talkdesk to power their customer interactions. 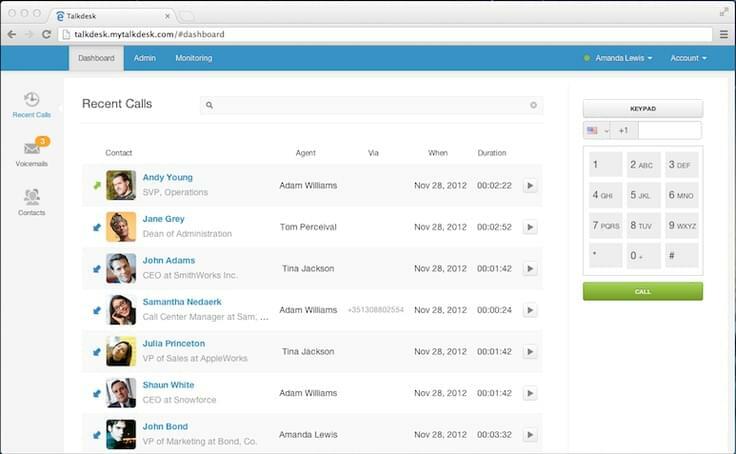 Not sure if Talkdesk is the right call center software for your business? Call, click, or email to speak with an unbiased Technology Advisor today for a no-cost, no-obligation consultation on your unique needs. Learn everything you need to know about Talkdesk. Our experts will reach out to you shortly.